On a journey that documents the pain and suffering of the Armenian people from Turkey to Syria, on to Lebanon and Armenia; despite the dangers and taboos during the filming; resurrecting the voices from the graves, we tell their stories of agony, death, lost dreams and record the lives of the Armenian people. Shooting in Turkey was filled with scenes of desolation, ruins and silence. Syria revealed testimonies and suffering, learning that the Muslim Bedouins of Syria were originally Armenians. They had lost their own families during the genocide and had been adopted by local families. Never forgetting their ancestries, they are proud of their roots. Shadadeh and Markadeh in Deirezzor region of Syria, are places where thousands of Armenians were burned and killed. While digging in the sand we find their bones. 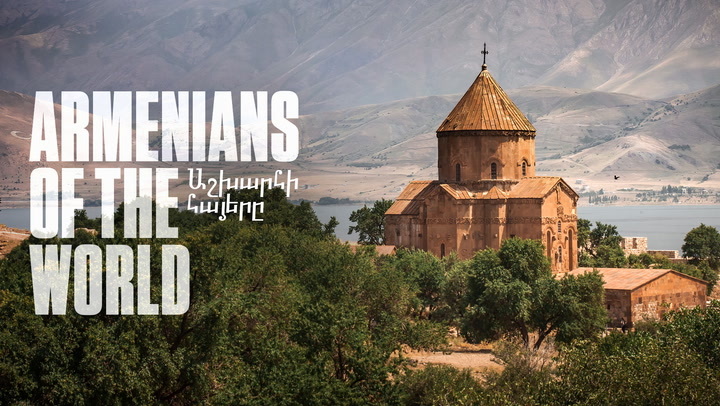 “Armenians of the World” is a documentary that takes you beyond, from Tigran Le Grand till now, that narrates the amazing story of a people that have endured extreme injustice and suffering. Never before has a study been conducted in such detail, with rare archived scenes and actual footage documented on film of the Armenians history.